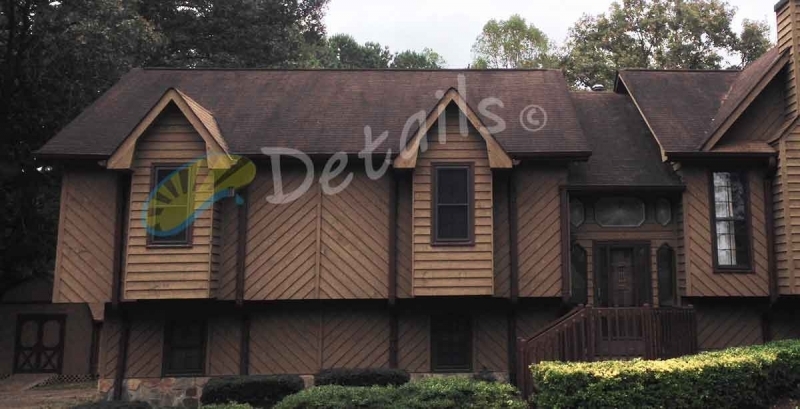 Black areas and streaking on your roof are a form of mold called "Gloeocapsa Magma" which is common here in the south. If left untreated this will grow into another form of algae, lichen or moss. 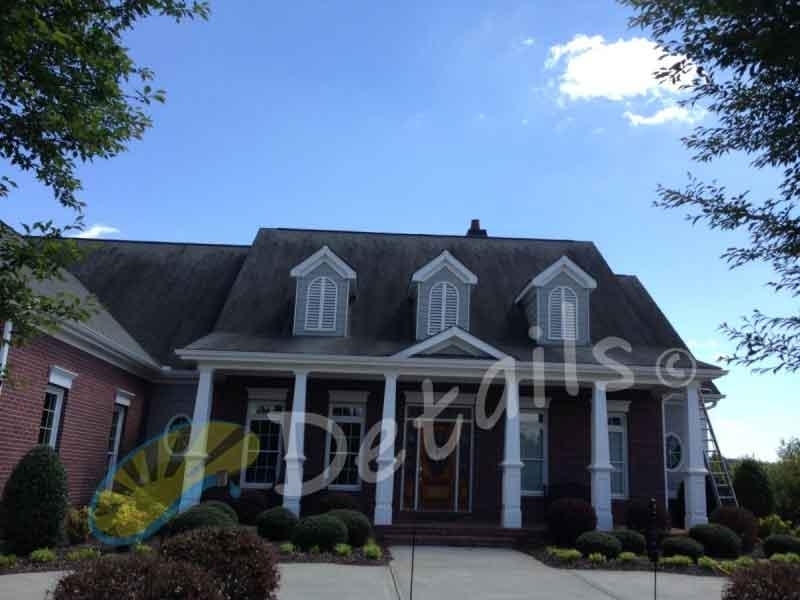 Roof cleaning is recommended before this (eats away the limestone - asphalt roofs) and/or continues to grow and cause other issues and further deterioration of your roof. Click Here to see this article in the Washington Post. 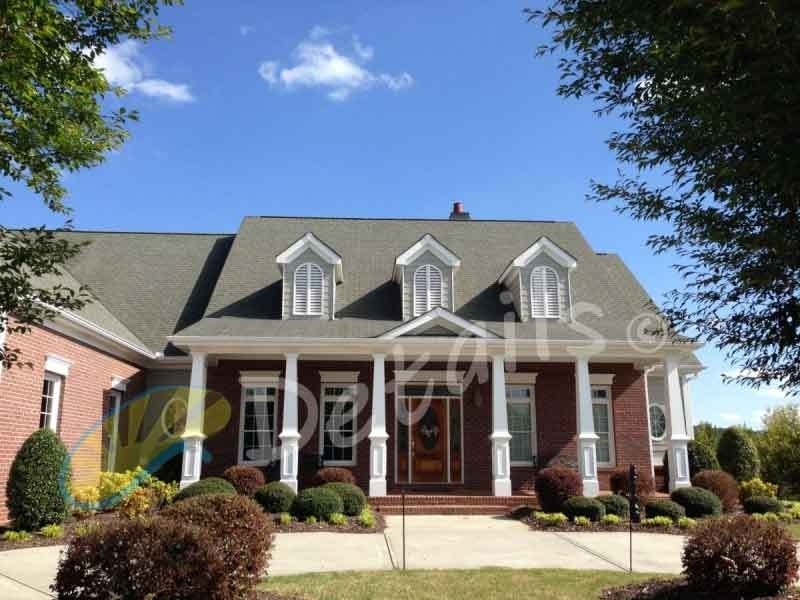 Many roofers or contractors will tell you that you need a new roof. Unless physical damage has been done this can be rectified without replacement. 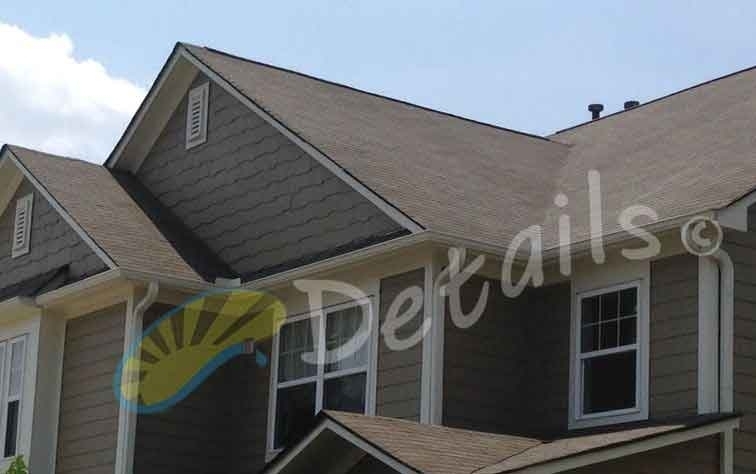 In most instances, we can return your roof to its original appearance and extend the life of the roof. 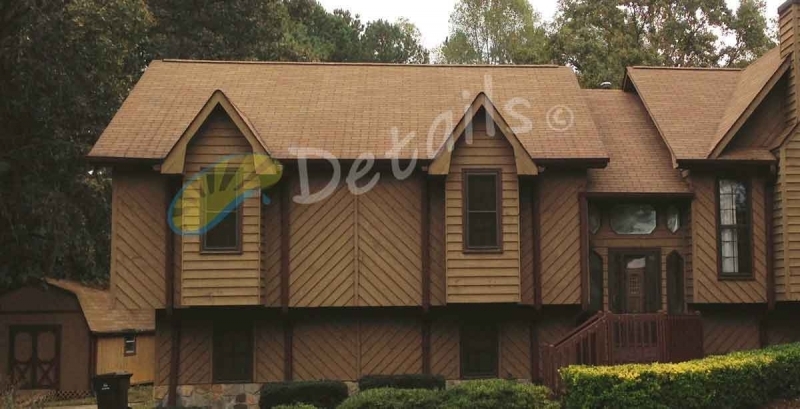 This preventive maintenance can save thousands of dollars on an unneeded roof replacement and repairs. 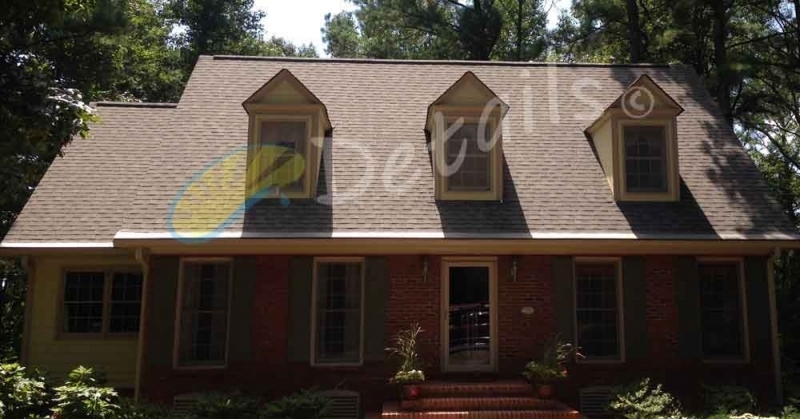 We do not recommend pressure washers (high pressure) being used to clean your roof. High pressure is anything that produces pressure higher than a garden hose at full jet stream (app 250-300 psi) The use of them can damage your roof and will not kill the algae spores, meaning it will come right back. If nothing else, high pressure will take off asphalt, which will reduce the lifespan of the roof by an average of 3 – 7 years each time it is cleaned. High pressure does not kill the underlying issue, the algae and can potentially void your warranty. Be wary of Low-Pressure Roof Cleaners, ask if a pressure washer will be used – Period. Each of the methods below produce high pressure typically in the 2500-4000psi range which can strip years off your roof and are not recommended. Our Soft Wash Pump System delivers low pressure (equal or less than a garden hose). The solutions are the cleaner, not the pressure! Soft Washing is the process of using proper solutions to attack the issue at hand at very low pressure so as to not damage a roof. 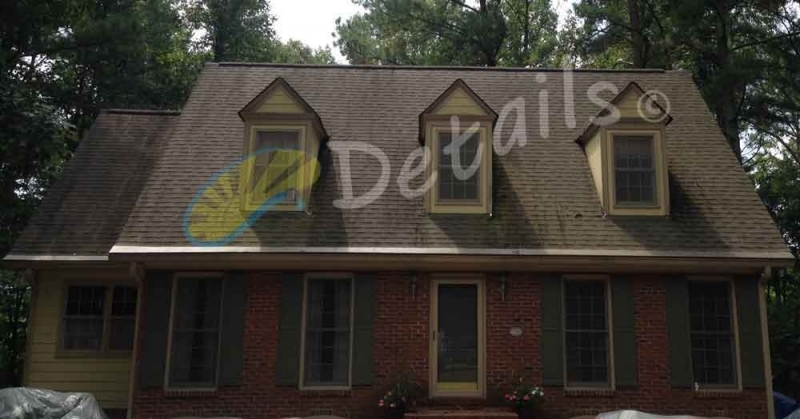 Unlike pressure washing which just blasts stuff off but still leaves the under lying cause still on the roof (algae). Our solutions and methods, depending on the roof type (asphalt, cedar, slate, stone, terra cotta, tile etc.) 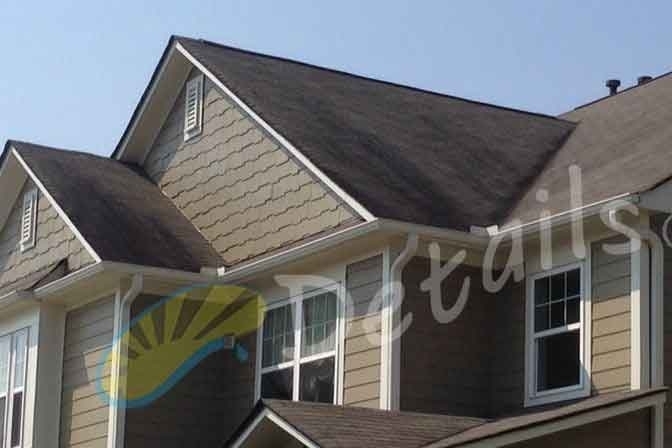 and extent/degree of the issue present will change to not only visibly make your roof look better but also kill the algae so as to make the end result last much much longer. to determine the best way to take care of your needs!